Golden Mile Resources (ASX: G88) has wrapped up a busy quarter that has seen a maiden resource declared and metallurgical work get underway for its Quicksilver nickel-cobalt deposit in Western Australia. With three months at the helm under his belt, MD Lachlan Reynolds brings RESOURCEStocks up to date on the path ahead. RESOURCEStocks: What do you believe sets Golden Mile Resources apart from other nickel/gold explorers in Western Australia? 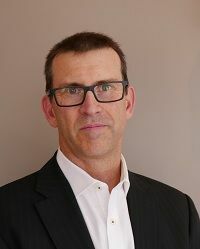 Lachlan Reynolds: Golden Mile Resources has the advantage of having a suite of strong projects, including both an advanced nickel-cobalt asset and prospective gold exploration properties in sought-after locations. The company is funded to undertake all of its immediate exploration objectives and has an enviable capital structure. With its experienced management and technical team I think the company is well positioned to continue having success. RS: Since we last spoke, the company has declared a maiden resource for the Quicksilver project of 26.3 million tonnes at 0.64% nickel and 0.04% cobalt - how did this exceed your expectations? LR: The resource for the laterite nickel-cobalt deposit at the Garard's Prospect was at the top end of our initial exploration target and we've been pleasantly surprised by the continuity of the mineralisation across the deposit. Another bonus was the presence of a higher grade zone in the northern part of the deposit. The resource has not been fully constrained by the drilling and we are confident that there is potential to extend the known mineralisation, particularly in the southern part of the deposit. RS: You've recently sent samples of mineralised material to ALS Metallurgy to get metallurgical testwork underway. What do you hope the results from the composite samples will demonstrate? LR: Two composite samples representing the main mineralisation types within the nickel-cobalt deposit have been sent to ALS Metallurgy for a series of preliminary metallurgical tests. Our intention is to evaluate the basic leaching characteristics of the mineralised laterite sequence and determine what metal recoveries we can expect using different leaching conditions. In turn, this information will be important to determine both what further testing is necessary and what development strategy is most appropriate for the project. RS: What further exploration is planned at Quicksilver? LR: In the short term we have commenced drill testing a number of geophysical anomalies located along strike to the north of the existing resource. These anomalies were detected by ground electromagnetic (EM) surveys completed in 2018 and are considered to be massive sulphide targets. One of these sulphide zones has already been intersected by drilling at the Wyatt's Prospect, and although it was not mineralised it did validate the exploration model. The discovery of a nickel sulphide shoot at Quicksilver would be a stunning result for our exploration team and of huge importance to the company so we are excited to progress this program. RS: With your first full quarter at Golden Mile complete, and only about 18 months since listing on the ASX, how do think the company is tracking in terms of progressing its flagship project? LR: The advancement of the Quicksilver project has been very rapid since listing of the company - it has gone from a poorly understood exploration target to having a significant maiden resource estimate. Some 13,800m of drilling have been completed and now we have a terrific opportunity to evaluate the next stage in the project's development. RS: Aside from Quicksilver, what are your exploration priorities for the coming months at the company's gold targets in the north-eastern Goldfields, and why? LR: Golden Mile is fortunate to have a number of really interesting gold projects in the north-eastern Goldfields. Our initial priority will be our Leonora East Project which has all the right exploration ingredients - a known gold mineralised structure with greater than 15km strike length, prospective geology, numerous historical workings and plenty of upside in areas that are covered and/or have not been adequately tested by modern exploration methods. Additionally, it is located adjacent to Kin Mining's active mine development at Mertondale. It is our intention that the company will also progressively review and work up exploration programs on the other ground we hold around Leonora, as well as in the Gidgee and Darlot goldfields. RS: The company had about A$2 million in cash at the start of October. What is your funding outlook for 2019? LR: The company is still well funded to undertake its planned work programs at Quicksilver and on its gold projects in the north-eastern Goldfields. I expect that we will undertake further drilling programs in 2019, particularly on gold targets, and I am confident that both existing and new investors will be keen to see that work funded. RS: What milestones can investors expect to see this year? LR: Investors can expect to see a steady flow of news on all our projects in 2019. At Quicksilver the development milestones will be completion of metallurgical testwork and progress with feasibility studies. If appropriate the company will look to complete further infill and extensional drilling to increase both the size and confidence of the resource estimate. On the exploration front, I am personally very excited about both our nickel sulphide targets and the potential of the company's projects to deliver a new gold discovery in the north-eastern Goldfields. The gold projects are at an earlier stage of exploration and I look forward to keeping investors updated as our work progresses.